The official website of the National Library of Karelia is a visiting card of the library and a story about its activity. The site is a single access point to electronic resources and online services. 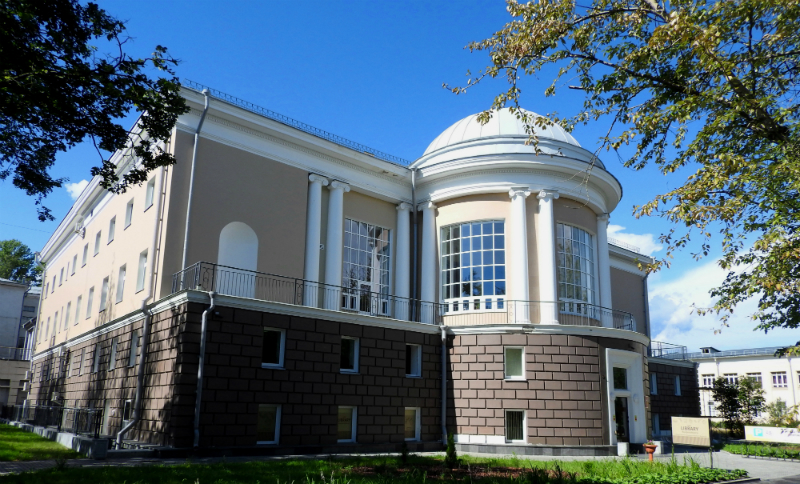 The National Library of the Republic of Karelia is a place for reading, communication, creativity and new ideas. 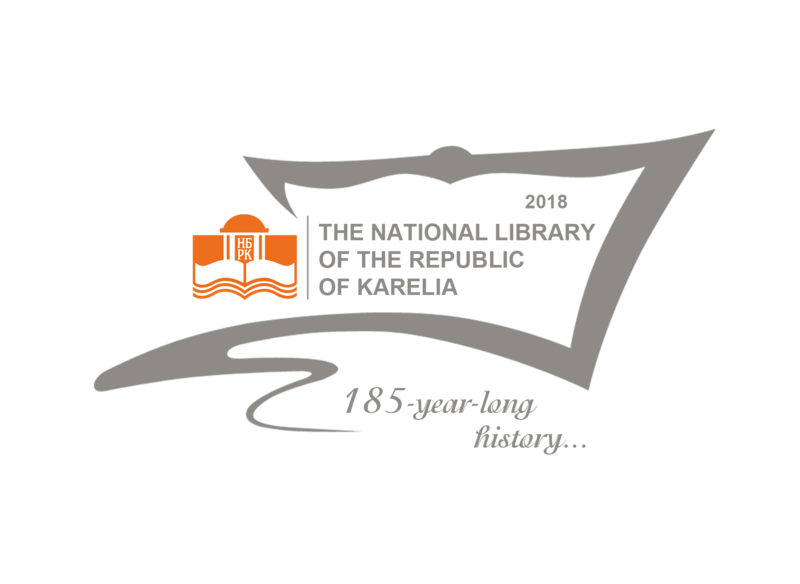 The National Library is an institution which fulfils different functions in the field of information activity, preservation of traditions, education and intellectual leisure. We aim at becoming an open social center for the local community. February 28, 2019: On the International Day of Kalevala, the literary and musical evening Live Kalevala was held at the National Library of Karelia. The evening was dedicated to the rune-singers, whose heritage lies at the heart of the epic poem “Kalevala” by Elias Lönnrot and for centuries has been an inexhaustible source of inspiration for people of many creative professions. The participants of the evening could get acquainted with the folklore sources of Kalevala, hear archival authentic records of Karelian folklore, familiarize themselves with the creative heritage of Karelian narrators and see fragments of documentary newsreels created in different years. February 28, 2019: On the Kalevala Day, programs for children dedicated to the anniversary of the epos Kalevala were held at the National Library of Karelia. Young readers have become participants of the program “Wonderful Mill Sampo”. 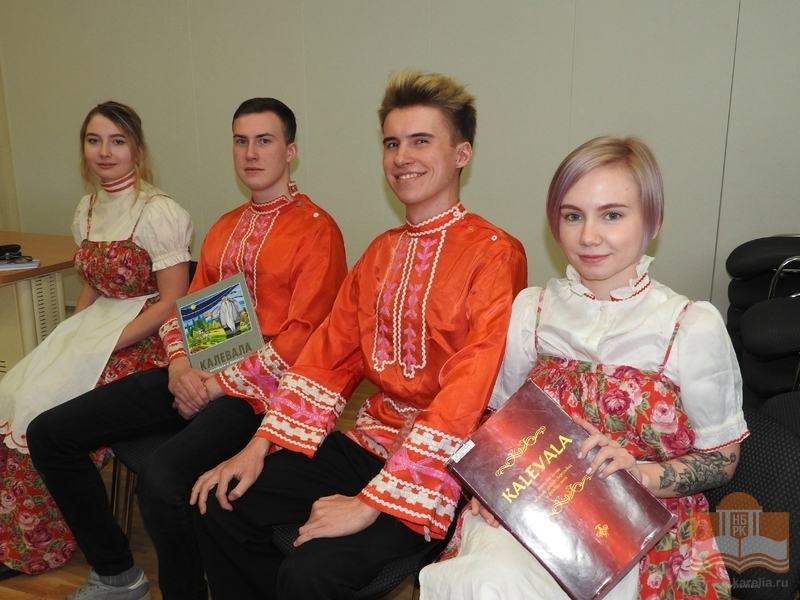 Pupils guessed difficult Karelian riddles, played folk games, recalled the heroes of the epic poem and got acquainted with the traditions of Karelia. 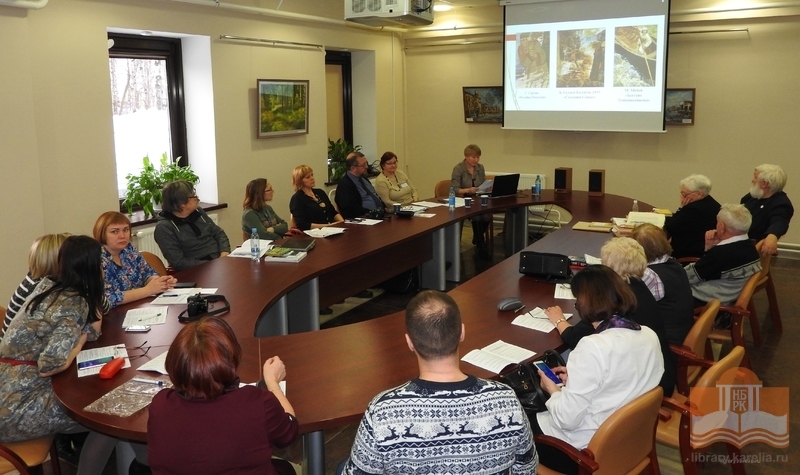 February 14, 2019: The National Library of the Republic of Karelia held the XIII annual Scientific Conference Local Studies Days on the theme “Book, reading, information: transformation in time”. The conference united professional and amateur researchers who study history, culture, printed and handwritten heritage of Karelia.